The bad news for South Africa just keeps getting worse. 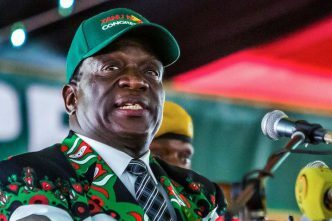 The latest macroeconomic figures show that GDP shrank for the second quarter in a row, meaning the country has technically entered a recession for the first time since 2008–09. At least there was an excuse last time in the form of the global financial crisis, but in 2018 the world economy is pumping ahead. ‘There is no way to sugar-coat the numbers’, as one senior economist put it, ‘the growth picture in the first half of 2018 is ugly’. And it gets uglier the further down you drill. 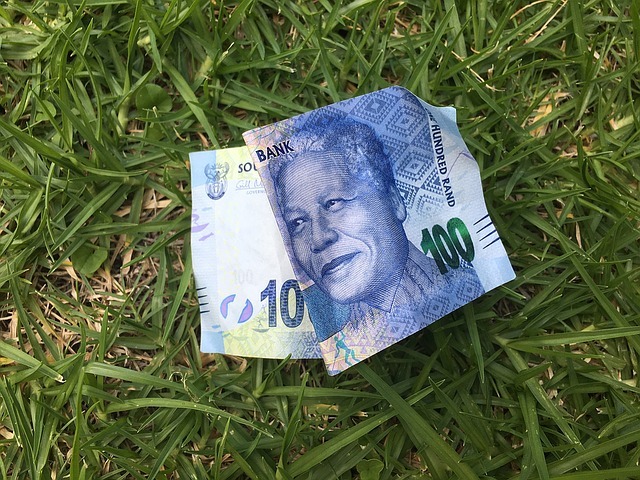 The rand crashed in August, its worst month in five years—and it may plumb yet greater depths as markets react to government plans to radicalise land reform. Agricultural production has gone through the floor, contracting nearly 34% in the first quarter and 29% in the second—a collapse officially blamed on drought, but one that some analysts attribute in part to the land reform debate. Unemployment is at a 15-year high and manufacturing activity is at its lowest level in 13 months. There’s international pressure on fuel prices—which the government has plugged with an unsustainable subsidy—and an upcoming credit rating in October by Moody’s, which may result in rand-denominated debt being rated ‘junk’. If that happens, South African bonds will be jettisoned from global indices and a sell-off will result. And all that’s just the superficial bad news. 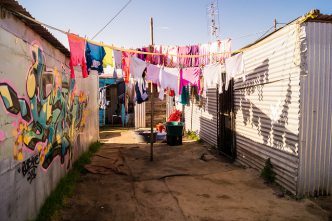 The systemic issues facing South Africa are gigantic, and will not be moved by the stimulus package and other band-aid measures that the government is spinning ahead of the 2019 elections. Leaving aside what is arguably the biggest problem of all—the evisceration of an inclusive nation-building vision at the hands of race-based, punitive collectivism—it is corruption that stands as the greatest challenge. That’s because graft destroys both the desire and capacity to seriously engage with the other epic conundrums—among them, population growth, burgeoning long-term youth unemployment, and world-beating levels of crime and inequality. It’s not difficult to justify South Africa’s reputation for corruption, with the ruling African National Congress (ANC) leading from the front. Recently axed president Jacob Zuma had 783 charges of corruption laid against him—and that was before he ascended to the top job. In his nine years at the helm, he progressively transferred the institutions of state to a cabal controlled by his private business partners and political cronies. With the ANC haemorrhaging support, Zuma was—by a narrow margin—removed as party head in December 2017 and later fired as state president. An official inquiry has now been launched into what became known as ‘state capture’. Yet the new era of clean government declared by his replacement, Cyril Ramaphosa, is little more than bombast. The ANC has become, to its core, a patronage machine for the post-apartheid political elite. 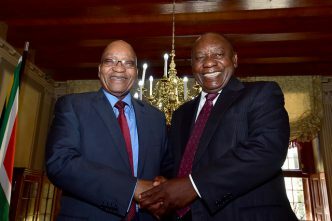 It may be that some of Zuma’s allies in the factionalised party structures are targeted—‘for my friends, everything; for my enemies, the law’—but a thoroughgoing attack on corruption would be an assault on the ANC’s latter-day raison d’être. The rot extends from the top of the party to the bottom—and horizontally through the bureaucracy and into the private sector. In South Africa, the main game is access to state resources and the crooked processes by which they are allocated. 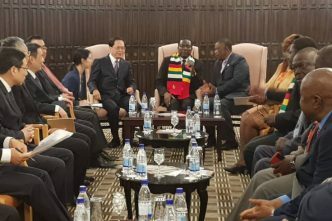 It is, in local parlance, a land of ‘tenderpreneurs’—those who score lucrative government tenders through political influence, nepotism, backhanders and other related arts. Much of the country’s nouveau riche is built on such activity—a rent-seeking, parasitic class that leeches off a narrowing tax base and adds little in the way of genuine economic growth. Nothing is off limits. The ANC has not baulked at fleecing the poorest of the poor. For example, South Africa’s state-owned pension fund for public employees, the Public Investment Corporation—Africa’s largest asset manager—has been used to capitalise crony consortiums and, allegedly, to fund the ANC itself through fake investments. Likewise, social welfare recipients were deliberately locked into a cycle of debt through a scam between ANC functionaries and a finance company that accessed beneficiaries’ private data, using it to sell them paperless loans and insurance. It was quite a service: push-button impulse buying and automatic dole-debiting for those who can least afford it. A couple of taps of your mobile and the food budget for the kids evaporates. If there was a sharp distinction between the highest and lowest echelons of government, there might be more hope, but there isn’t. The soliciting of bribes by police officers, teachers, licensing officials, health professionals and others is rife, as reported by anti-corruption NGOs—and as any South African can testify. South Africa’s ranking on Transparency International’s corruption perceptions index slumped from 21st in 1996 to 71st in 2017. Is there any hope, then? The sanguine invest much in Ramaphosa as an individual, and add that South Africa’s institutions are robust. The press played a central role in exposing Zuma’s shenanigans, and the judiciary has remained troublesome and independent. That’s only half the story, however. Those analyses fail to recognise the overwhelming dominance of the executive and overstate the pinpricks it receives. The ANC and its government departments routinely ignore court orders. The press is—in the normal course of events—as shrill as it is ineffective. Its influence was magnified by the recent struggle within the ANC and won’t be sustained. And the fact that Ramaphosa’s name is the first on the lips of optimists shows just how far the balance of power has shifted from where it should be. When politics becomes messianic, it’s a sure sign that you’re already in real trouble. 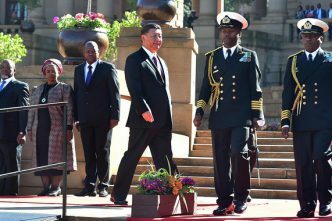 Between the 1960s and 1990s, the notion of South African exceptionalism grew to mythic proportions in the soils of increasing world attention. But there has been scant evidence in the 2000s that these vast expectations can be met. To the contrary, the trajectory of the country is such that it will be fortunate to avoid the kind of catastrophes that have marked its northern neighbours. And that’s a sobering thought. The history of sub-Saharan ‘unexceptionalism’ is that things can get a whole lot worse—much worse than most imagine—before they get better. Stuart Doran is an independent historian and political analyst. He is the author of Kingdom, power glory: Mugabe, Zanu and the quest for supremacy, 1960–1987, which was shortlisted for the 2018 Alan Paton Award for Non-fiction. Image courtesy of shannonwalbran on Pixabay.